Our skin is one that is attacked with various problems especially our face. I share a lot of terrifying stories that have marred my face with pimples, blackheads and whiteheads. I tried a lot of products like facial wash, astringents, medicine creams and others. When I was in high school and college, the only products I know of were astringents and facial wash. But nothing could appease me. I have stopped using astringents more than a decade ago because of its very acidic content that causes redness and rashes which is very harmful to the skin. I saw some products shown on Home TV Shopping since the early 1990's and have actually purchased some. In the late 90's, I spotted the product endorsement and testimonials of Proactiv, a revolutionary product on skin care and was convinced of the wonders it can really do to our skin eliminate the blemishes and pimples. My sister have used 3 sets of Proactiv Anti-Acne Solution before. Each set has 3 bottles: Renewing Cleanser, Revitalizing Toner and Repairing Lotion. I wasn't able to give myself a chance to use them because I was very tight on a budget. Looking back, if I could have tried it myself, I could have gained more confidence before than being tortured with skin problems left and right. Proactiv acne clearning system was developed to treat our whole face clear of blemishes and prevent acne before it starts. It has been tried and tested by millions worldwide, formulated by Stanford-trained dermatologists Dr. Katy Rodan and Dr. Kathie Fields. The product is different from other available spot treatments in the market today. It doesn't just treat our pimples now, but it gives us clear skin forever. This is the brand that Hollywood celebrities have trusted over the years, like: Mandy Moore, Katy Perry, Avril Lavigne, Jessica Simpson, Vanessa Williams, Ryan Sheckler, Julienne Hugh, Jennifer Love Hewitt. Proactiv is actually for all, including us men. A lot of men have testified of the validity and effectivity of Practiv Solution, including Mark Chuahiok, my former student in 2005 at De La Salle University (Manila). His skin is a clear proof of the wonders of the product. 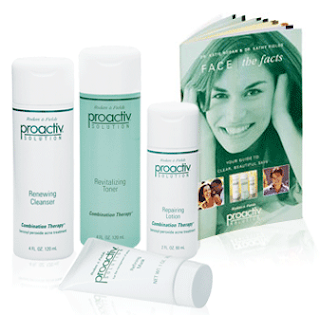 Learn more about Proactiv by joining its Facebook fan page. 1. Get P150 discount from the 30-day kit. Code is PA306. 2. Get P300 discount from the 60-day kit. Code is PA606. What's also best about this product is you can try Proactive money back guarantee program. Isn't that amazing? Products can be delivered at your doorstep for FREE.